Listed below are comments from just a few of our many satisfied customers. 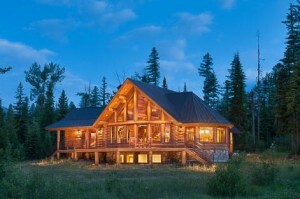 “I just want to take a moment to tell you how impressed I am with Montana Log Homes. Actually, impressed is an understatement. While I’ve done a number of log cabins with different companies, none even come close to the outstanding product you and your company delivers. It’s like comparing a Ferrari to a Volkswagen; there really is no comparison. The home provided by you and your crew is more a work of art than anything else. 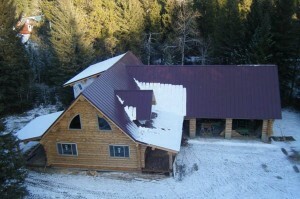 “I would like to thank you and your group for the successful completion of my excellent log home. Thank you for showing me your own personal log home on a Sunday morning to help me make my initial decision. My cabin was a complete custom log cabin set in a beautiful but exceptionally remote location in the mountains of Montana. The project was delivered exactly on-time and on-budget as promised. There were no surprises, no cost over-runs and no time slippages. The contract was simple and faithfully executed. 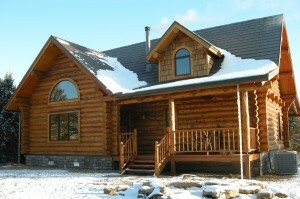 Montana Log Homes worked diligently with my general contractor to take the initial design (a complete custom build/version one design) and meld it into the local mountain setting to create a spectacular log cabin. Although new, the cabin now has the feel of belonging to the local environs. The local bears do not even give it a second sniff. 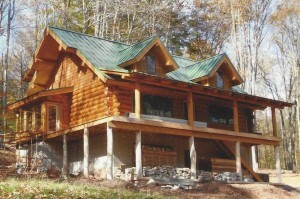 “I can’t begin to express how pleased we are with our log home. We just got back from watching the reset. Everything was beyond what we expected. Our home is beautiful and amazing. Everyone was so nice. Tory and Justin were wonderful. They really enjoy their work and take a lot of pride in their craftsmanship. They did an excellent job of directing everyone else. We really enjoyed talking with Sam. I took 400 pictures and hours of video. I’ve attached one of the house and my favorite pictures of Tory and Justin. I’ll send some more later when I’ve narrowed them down a little. I’m going to put some of the video together on a DVD. I’ll send that to you. Thanks for sending the t-shirts and hats. We all felt like part of the crew with our official attire. “We want you to know that the level of satisfaction for your work is beyond anything that we could have imagined. The skill and artistry demonstrated by Tori and Justin, using their chain-saws, when everything was set, the determination to have the work perfect, was amazing. When the truck rolled in with the first load of logs, the euphoria began, and although the feeling has lagged and returned since that time, we’ve never felt anything but absolute pleasure with the shining jewel that is sitting in the center of our building site. From the first time that we contacted your company ’til the last two Montana Log Homes workers pulled out of our yard, there never was a hitch in the process. I can honestly say that everything about the home is beyond our hopes for perfection, and we never experienced a hitch in the forward……..
“Great Look! Great service! Superb builder. We couldn’t be happier and look forward to many enjoyable Vacations in our new home. 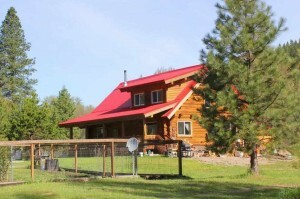 “We have been dreaming of and planning for a log home for many years, so when we finally decided it was time to make our dream a reality, we wanted to make sure we found the right company to meet our needs. 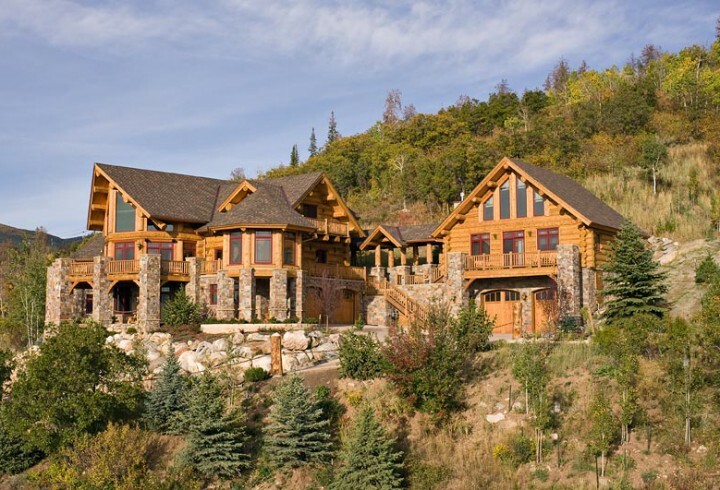 That company is Kalispell Montana Log Homes of Kalispell, Montana. Their response to our intial inquiry was prompt, informative, personable, positive, and helpful. 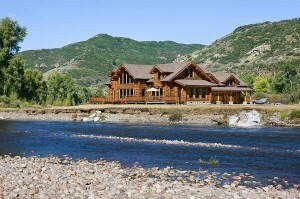 We were pleasantly surprised to find the cost of a Montana Log Home compared favorably to any that we could find locally, even after factoring in the shipping costs. Throughout the planning process, Jim and Dave were always available to answer questions and to offer suggestions on how to achieve what we wanted and at the same time keep the costs affordable. Their architectural technician took our drawings and made minor changes to ensure that our home would be comfortable as well as structurally sound. He also offered solutions to a couple of minor problems that we had been unable to solve in our drawings. 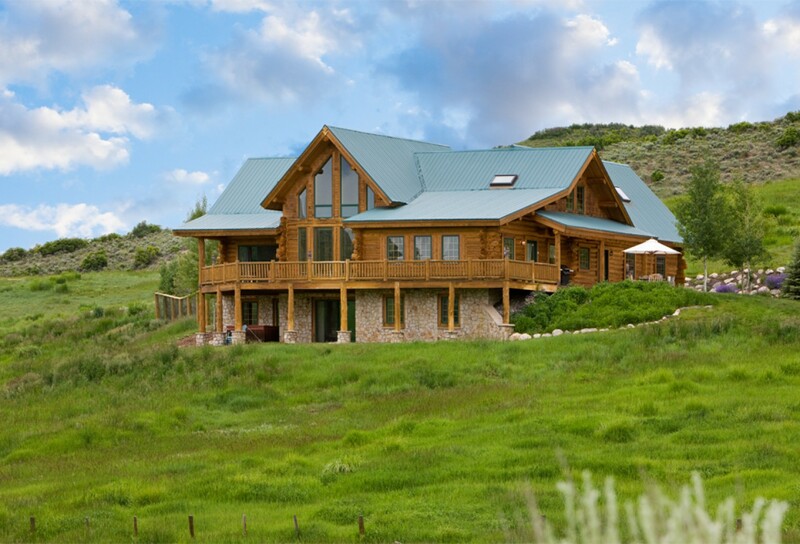 During this time, he and the crew at Montana Log Homes also were in constant contact with our local contractor to be sure that everyone had the same understanding of the building plans and to coordinate the reset and finishing of our house. The logs and reset crew arrived at our lot on the Kenai River at almost the same time on the evening of Tuesday, July 11. The crew was ready to begin early Wednesday morning. They had such a working rapport with each other that the reset flowed smoothly, with almost no conversation needed as to what came next in the process. The two locally provided laborers had not worked on a log reset before, but the Montana crew is so professional that the “locals” soon felt comfortable with the process and were able to blend in with the regular crew to do the job. It took only ten hours for them to finish erecting the log walls, support system, and main staircase, even though they took great care to make sure everything was exact. The next day, they cut the doors and windows and taught us how to adjust support beams and to caulk the logs after they were sealed. 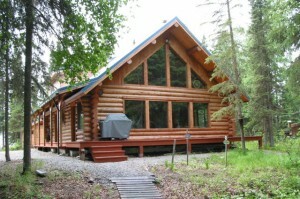 Throughout their time with us in Alaska, the people from Montana Log Homes were friendly and helpful, going out of their way to answer questions or offer suggestions. Our local contractor was also impressed with their professionalism and with the quality of their product and he is looking forward to finishing the house. During the reset in the weeks since, we have had many visitors to our building site. Everyone is most impressed with the beauty of the logs, with the tight fit and straight lines (no visible taper) of the walls and with the overall quality of the structure. 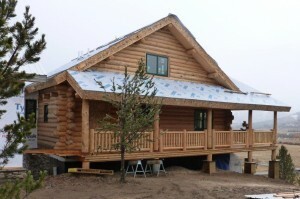 “Our Montana Log home is nearing completion and we wanted to take a moment to let you folks know how pleased we are with its beauty, construction and design. It is truly a work of art. Your entire team has gone out of its way to make our building experience a very positive one. David even invited us to visit his log home on Saturday morning. Eric was very flexible and patient as we changed out minds on windows, doors, etc. 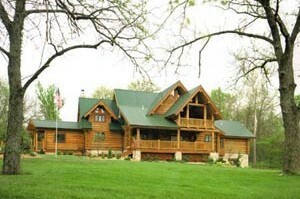 “Words cannot express how delighted we are with our new log home. I hate to brag but it is gorgeous. beautiful. stupendous. awesome, magnificent, etc. etc. Ten times greater than I ever envisioned it would be. Sometimes I just sit and stare. Gary and Rob were wonderful to work with and we look forward to seeing them on future visits to Missouri. They certainly know their business and coupled with Bob, Butch and Gabe, our log set was smooth and trouble free. What I had feared might turn into a nightmare became instead a beautiful dream. 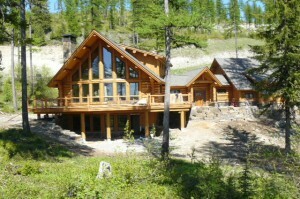 Again, a special heartfelt THANK YOU to all the crew at Montana Log Homes. I am ready to start another house but Jim says’ need to get this one finished first. Please do not hesitate to have people who are interested in your product call or visit our home. We are very proud of our new home!!! “It has been a long time since I wrote to any company praising their performance, what with quality and service being a rare commodity these days. It is therefore my great pleasure to have the opportunity to both thank and compliment the entire Montana Log Homes company. From the discussion and planning stages, right through to delivery and set-up you, your craftsmen in Montana, “Sam, your truck driver and especially Richard Ragone and his on-site crew, took enormous care to ensure that no commitment or detail was missed. To say that we are delighted by how easy you and Rich made this process for us (a rather big step for Carole-Anne and myself) would be an understatement. The look of the house, it’s careful crafting, it’s attention to detail and the beautiful hand peeled look was more than CA and I ever expected. Not only does it look outstanding in our New Hampshire setting, it is already beginning to feel “like home” even though we don’t expect completion of the interior for another six weeks or so. Finally, I especially want to compliment Rich Ragone. Besides his obvious expertise in construction of log houses, we appreciated Rich’s in-put on the small things that can mean so much. His careful review of details with my contractor; his willingness to spend what ever time was necessary with us to ensure that the finished product met our needs; his enormous patience with our never-ending questions and phone calls; his recommendations on window sizes and stain colors; even his expressed concerns about one of my sub-contractors that proved to be right on target, were invaluable. All I can say is that I hope you are paying him enough for his services, and the credibility he lends to MLH in this corner of the country. You ‘re on the right track! I can only encourage you to proceed to make your log home dream a reality, as I did. My dream began 3 years ago with the purchase of my land in the NW Colorado Rockies. After the purchase I began to pour over magazines, floor plans, log home books, and brochures (just as you have) and concluded that I wanted swedish coped construction. The floor plan in my dreams included a great room with large purlins. What I also desired was hand-scribed, hand-crafted, HOWEVER from my reading and some consulting with a few log home producers, I believed that this desire was beyond my wildest dreams and pocketbook! So, I gave up on my search for handcrafted and focused on milled log producers. 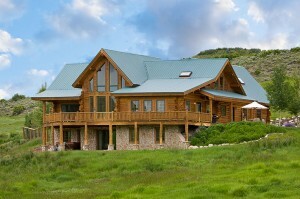 I decided to make a “shopping trip” to Montana with a short list (10) of milled log home producers. My Montana journey in search of just the right log home within my budget took me from Victor, MT to Rexford, MT visiting the 10 producers of milled log homes. ..most of whom offered swedish coped style. By the time I had reached Kalispell, MT, I had visited 8 of the 10 log home mfg. On my list. For the most part my impressions of the 8 were that the logs (no matter how hard they tried) looked like they had come out of a pencil sharpener. ..certainly not the rustic hand-crafted log home logs I had dreamt about! The milled log packages were quoted to me along a wide price range. The Marketing Director David Gray was most helpful, encouraging, and knowledgeable. David was always coming up with creative ideas from the start. The PRICE of Montana Log Homes’ hand-crafted swedish coped log packages were actually AFFORDABLE and represented a tremendous value compared to the 8 quotes I had received. I never did go to the two remaining log home manufacturers that remained on my list. A “can-do attitude” existed from the owners (2) and extended throughout the company personnel. I was really impressed with the fact that the owners work side-by-side with the carpenters in the yard. ATTENTION TO DETAIL. David, et al., constantly kept a critiquing eye on the details of my project …looking for better design ideas; looking for cost saving ideas, etc. 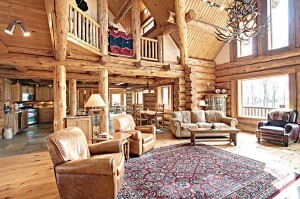 Montana Log Homes made me feel like I was their only customer. They were constantly in contact with me when appropriate. When it came to the actual building of my home in their yard, David kept me abreast of the progress with calls and pictures at different stages. They didn’t just get a signed contract and then deliver a load of logs some months later! Their personal delivery of the logs and reset crew made everything go smooooothly! The semi driver had a terrible bout of the flu, but saw to it that the logs were delivered on the target date EXACTLY! I could not be happier with my Montana Log Home. I’m presently living in it year round at 8600 feet elevation some 8 miles to the nearest road; the snow is high and winds are brisk, but I’m cozy and warm and fully secure in my Montana Log Home. “Well it has been a few weeks since the log home was reset and I have finally found a moment to write this letter. First let me say what a wonderful home your crew crafted. The best word to use is WOW!, what a beauty. Theresa and I just love it. Now for some recognition for your company. 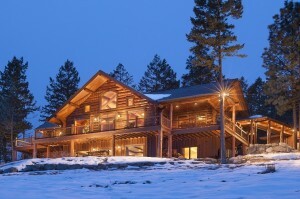 We built this home in the Bitterroot Valley (Darby). 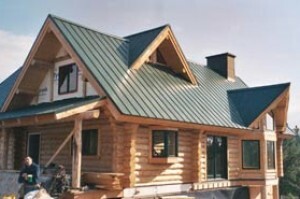 As you know there are many log home companies here. So why did we use your company? Here are the answers. First was the quality of the product. We really did our homework to find the right company. 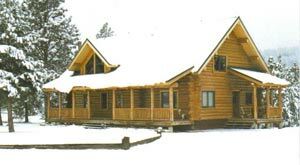 We traveled thru Oregon, Idaho, California and Montana visiting producers of log homes. Your product was just what we were looking for. Quality craftsmanship, quality logs and the unique look of logs from the hand peeling to the finished product. Second and probably most important was the professional service. When we first visited your model and office we certainly liked the product. Our second visit we were able to spend some time with David Gray. This is when we found the company to go with. We talked to David about what we envisioned and gave him a set of plans I had drawn. David had some great ideas to improve the look. 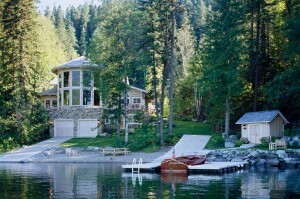 But what sealed the deal was the professional and timely responses for the log home estimates or any questions we had. Thanks David – give him a raise. We signed up and got on schedule in October 1999 and everything after that was real smooth. From Jim Schell at Black Bear Designs to any changes, there were no problems. It was also nice that David kept in touch over the months and when production started the pictures and calls about the construction was great. Last but not least was the arrival and reset of the log home.”Exciting” is an understatement. The reset went real smooth. Your crew was great. The lead man, Tory, really had it all together. He knew exactly were everything went and the fit was perfect. Odie certainly knew his stuff and was a good backup to Tory. And John being on one of his first resets, I couldn’t even tell as he was an animal working on the log trucks and on the home. The crew worked extremely hard -give them a raise. But most important about your crew is that they are fine men and we enjoyed working with them. They are welcome here anytime. 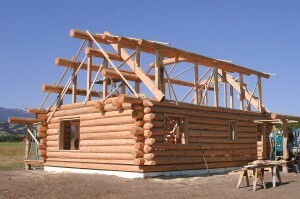 There is still a lot to do to finish our log home. Our dream is one step closer to reality. It has been a pleasure dealing with you. 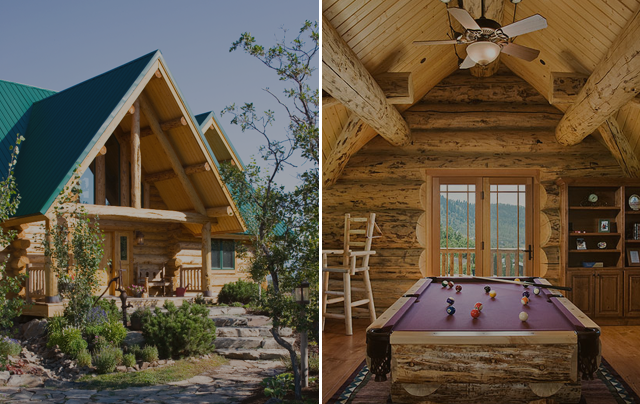 While there are other quality handcrafters, the PEOPLE at Kalispell Montana Log Homes make the difference. Responses to inquiries were professional, yet friendly and timely. “We knew going into this project that having a house built remotely would be a challenge; we thought building a log home even more so. From the first meeting in your office, through and after the reset, you and your staff have been exceptionally patient with our many questions, offered advice and made the process as easy as possible. In the design stage, Eric was very good with handling our changes and gave input that made the final floor plan exactly what we wanted. He is remarkable at taking a technical issue and explaining via telephone and/or web connection in a manner that we understood. 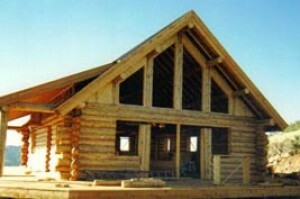 Let Montana Log Homes provide a quote for the log home you envision. Send us a sketch or floor plan, including dimensions and the building location. Be sure to jot down any special features you may desire or comments that will insure we provide you with the most accurate bid. 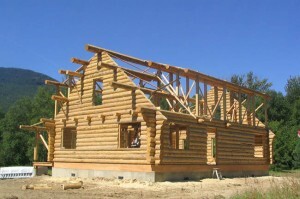 We will send you a preliminary cost estimate for your log shell which will itemize all of the log home information. 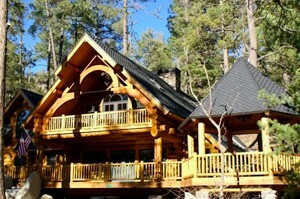 Our goal is that your log home will exceed your dreams!